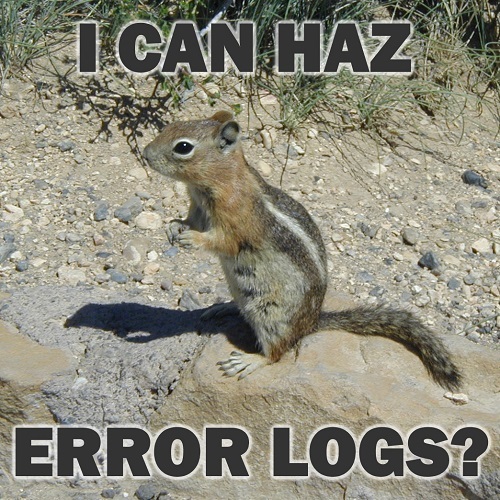 I can haz error logs? 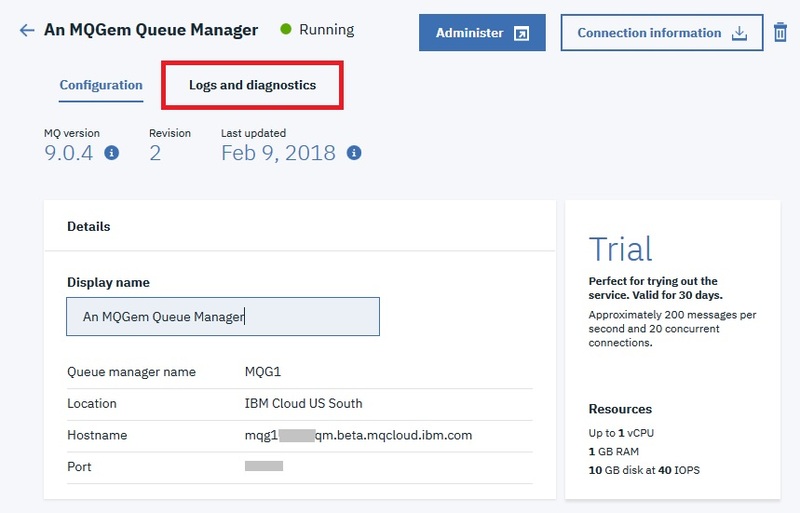 IBM MQ on IBM Cloud has now reached the Beta phase. 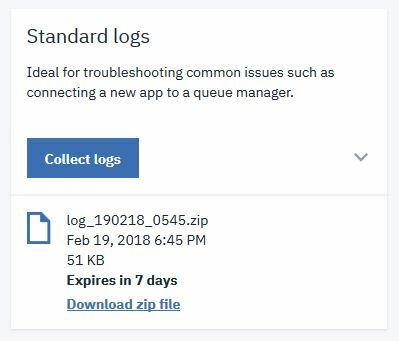 See Jen’s latest Blog Post: MQ on IBM Cloud – we’ve hit beta and one of the new things in the beta is the ability to view your queue manager’s error logs. This is a very important step since one of the first things you should learn is how to discover what your queue manager is trying to tell you when there is an error. In fact this is one of the most important things my MQ training modules also teach you. 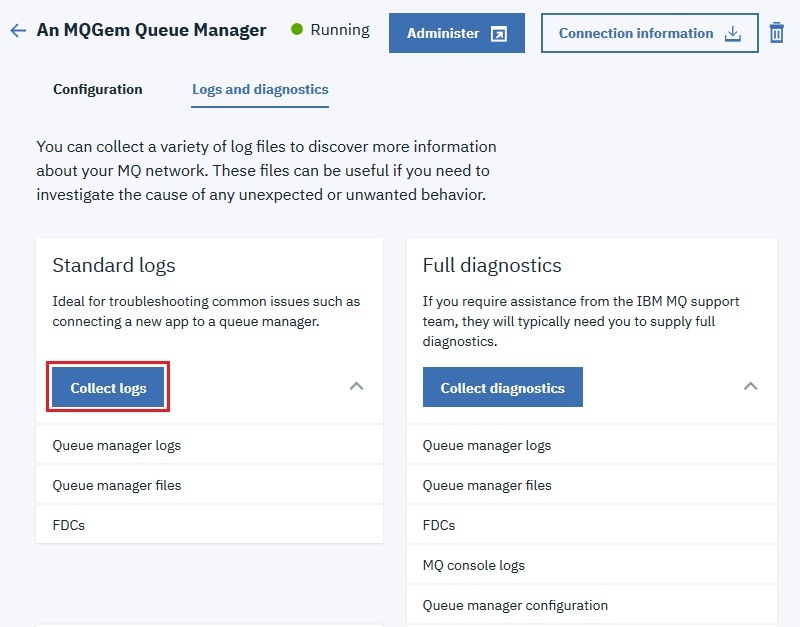 Here’s a quick summary of exactly how you can view your IBM Cloud queue manager error logs. you can view your queue manager and get connection information on how to connect to it. From this same view you can also get hold of your queue manager’s error log. Select the “Logs and diagnostics” option. This will show a panel where you have two choices. You can download a smaller zip file which is mainly about obtaining your error logs, or you can go for the full RAS package. For just the error logs click on the “Collect logs” button, and you will then be prompted to supply a password which you will use to unlock the error log files in the zip you download. After a few moments your zip file will be ready and then you can download it to view the contents. You’ll be interested in the folder called “QM Logs”. N.B. This is the error logs from the queue manager not the transactional logs. Inside that folder you will find three files AMQERR0n.LOG – usually you will find all you need in AMQERR01.LOG. This entry was posted in IBM MQ and tagged Cloud, error log, IBM MQ, IBM WebSphere MQ, MQ, queue manager, WebSphere MQ by Morag. Bookmark the permalink.